Fox Rip Stop Boonie Hat Black | BUDK.com - Knives & Swords At The Lowest Prices! 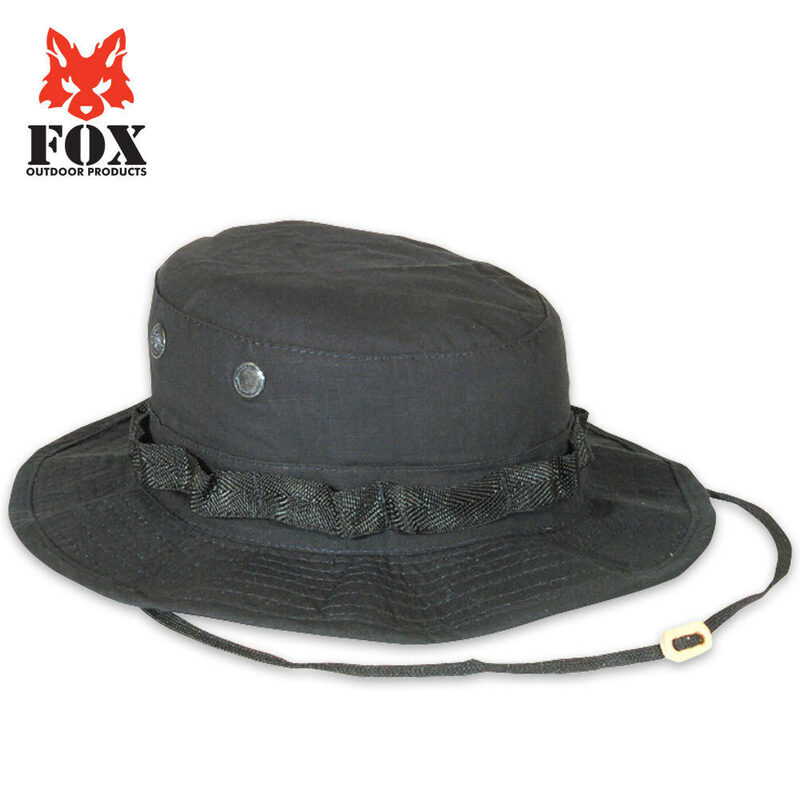 Made to government specifications, this black colored Boonie style hat offers 360 degrees of protection. This hat is cheap and the material is fantastically light. This is the perfect wind resistant bucket style hat. It can be rolled up for tight stowaway, or held flat and shaped into an outback-style brim. The airflow is awesome, the brim is slightly shorter than I expected but still can be shaped to fit your visor requirements. Awesome hat, will definitely get another!